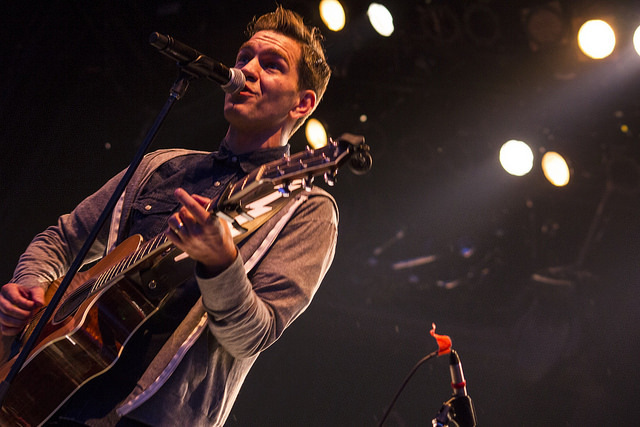 Andy Grammer is music’s easiest guy to root for, and that just may be an understatement. Today you can’t turn on the radio without hearing Grammer’s single ‘Honey, I’m Good.’, and while a lot artists may see their commercial success come almost overnight, Andy Grammer, who is one of the nicest guys in the industry, has truly worked his way up the charts. Sharing stories about studying music and learning to fail in college, to his version of “grad school” where he would pay rent by performing on the street 6 to 10 hours a day, we sat down with the ‘Keep Your Head Up’ singer to talk about his come up, temptations, his next album, and blurring the lines between “pop music” and other genres. Before his studio debut and self-titled album, which brought his first successful singles like ‘Fine By Me’ and ‘Keep Your Head Up’, Andy would sell his demo CDs for $5 on the street to Santa Monica tourists, only to have those same people come up to him half a decade later with those same CDs, while Andy is touring the country in promotion of his latest album and performing a single that reached the Top 10 of Billboard’s Hot 100 list. Hard work really does pay off. After I shared my personal vices, Grammer pitched me one of the concept for his next album that could center around temptation, all in good fun though. “I was looking at ‘The 7 Deadly Sins’, have you heard of these? Lust is definitely one of them. Lust, gluttony, sloth is one of them, I forget, but it was interesting. That’s the next album, I should try write one about every one of them (Laughing).” I told him he should go with it, concept albums are in right now! Joking about album pitches aside, fans should rest assured knowing that despite the current success of his latest album, Andy has already been working on new music. “Pretty much any time that I’m not on the road is a scheduled day of writing. I’m getting some stuff I’m really excited about,” Grammer told me. One thing unique about Summerfest, which is shown through their booking of Grammer (among other artists), is their presence of artists who are successful in the charts but who may be underrepresented in some of the elite music festivals (Coachella, Bonnaroo, Lollapalooza). While “pop” is a tricky word, a lot of artists who find themselves under the “pop filter” on iTunes are often not billed on some festival lineups. No matter what section his CD is categorized in at your local Best Buy, and no matter where his CD is even sold (whether it be online, in stores, or on the street), Grammer makes great music and he also makes it impossible to root against him. While every artist in the Top 100 deserves it, Grammy really deserves it. 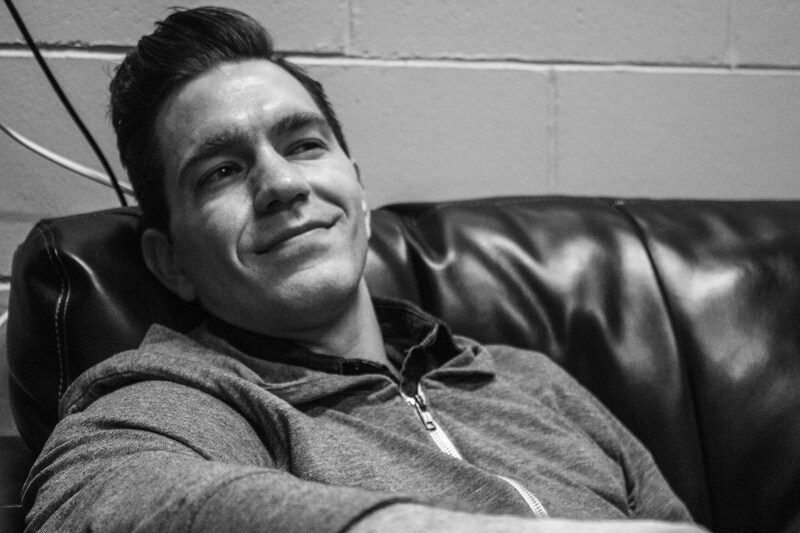 Hard work and good karma pays off, and Andy Grammer is the perfect example.